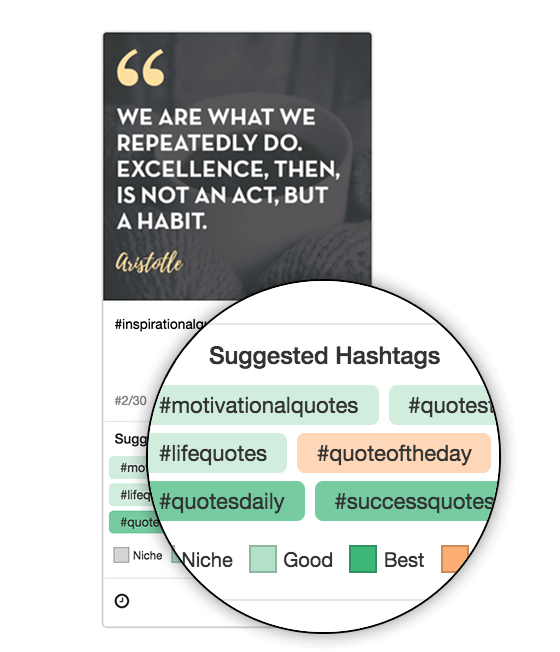 Instagram Hashtag Finder by Tailwind- A Blogger’s best friend! Instagram has been the last of the social media platforms that I adopted and I always struggled with coming up with two things: the right content to post as a blogger and the right hashtags to use. And I love Instagram because a lot of my engaged audience is on that platform! Then, last week I got a mail from the Tailwind Team telling me about their new and improved Instagram hashtag finder tool. 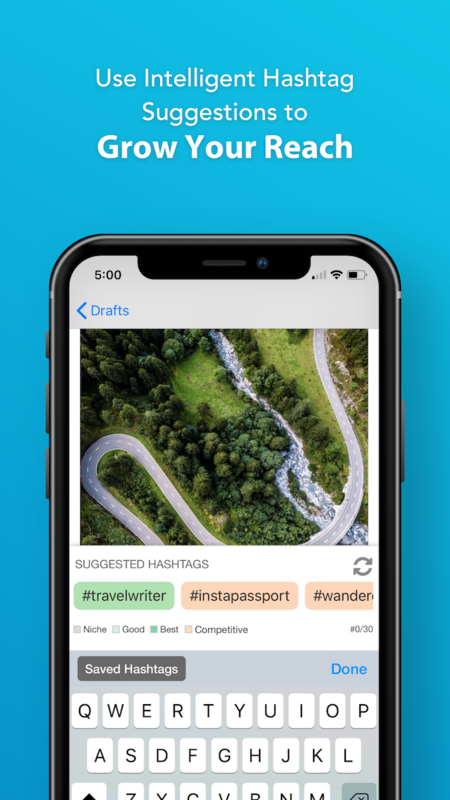 Similarly, while I largely used Buffer for scheduling my Instagram content, I was tempted to try out Tailwind for Instagram, but never really got around to it, until late last week. Now I am wondering why I waited so long! If you decide to try out Tailwind for Instagram, you get a free trial period during which you can upload 31 images for free! So there’s no risk involved and you can choose to upgrade at the end of the trial. Trust me, you will want to do this. *Please note that these are my individual results and obviously yours can vary depending on a number of other factors as well. But Tailwind also publishes the Typical Results of Tailwind for Instagram Members every year, so you can see exactly what the average growth rate looks like for their members. Open the Publisher section on your Tailwind dashboard that’s connected to your Instagram account. Click on ‘upload images’. You can also add an image using the Tailwind browser extension. Start typing in a sentence related to the content you’ve uploaded. These can be regular words or hashtags. You will notice that the hashtag suggestion box gets auto-populated with recommendations! Below the hashtag suggestions, note the colour-coded boxes that tell you which hashtags will perform best. I’d ideally choose the ones that fall under ‘best’ and ‘competitive.’ This has consistently improved reach for my content and ensures organic follower growth as well! *Bonus tip: Hovering over the hashtag tells you how many times it has been used! Once you seem to exhaust the recommendations, click on the tiny double arrow at the top right of the hashtag suggestion box to generate new hashtags. Some of the hashtags may not be relevant, since the tool picks the image as a reference point. Feel free to delete those suggestions. *Bonus tip: Remember, you have a limit of 30 hashtags per post, so you can use them all, if required. Once you’ve done all the above steps, you just need to add it to your schedule. If you’ve set up your Instagram account to auto-post for you, then Tailwind will do that for you! I can’t tell you how happy this makes me! That effectively means that the only time I have to use the Instagram app (*I hate typing on the phone! ), is when I have to respond to comments or direct messages once or twice a day. Pinterest recently allowed business accounts to claim their YouTube, Instagram and Etsy accounts. Using the hashtag finder tool, you can now auto-share an Instagram post to your Pinterest profile! To do this, just before you ‘add to queue’, click on the ‘Amplify with Pinterest’ checkbox at the bottom of the window. Select a Pinterest profile and board of your choice. Click on the ‘Set Pin Destination’ button and you’re good to go! Want to hear more about the hashtag finder straight from the horse’s mouth? Go here to read up on the Tailwind blog! Forgot to add this- bookmarking the post for the day when I start using insta actively.